A resource for free legacy knitting information. If you are looking for a stitch that repeats over a certain number of stitches, try the Stitch Count Listing. 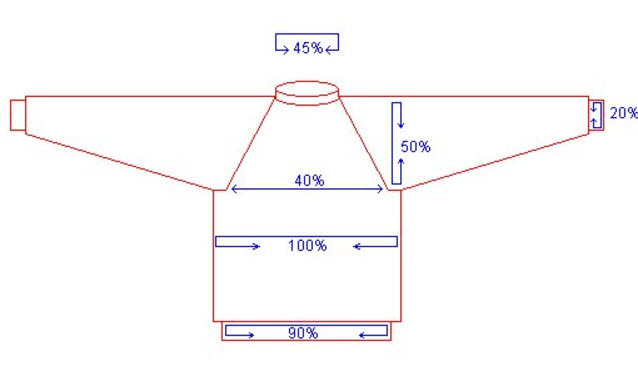 The sweater pattern generators use the percentage method to create sweater patterns based on your gauge swatch measurements. There is also a rendition of the patterns from Bea Freeman's sweater wheel. " Knitting symbols, abbreviations and terms from other languages. Random lace, yardage estimator and doilies. 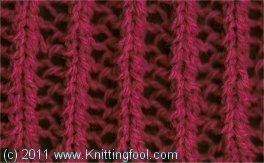 Knittingfool.com began and still is a hobby site. My name is Elaine Lyons. I live near a small town in central Illinois. My hobby is collecting knitting stitches. I collect them because I am fascinated by the mathematics of knitting stitches. This web site is a one person operation. So if I don't answer your email it's because there is only so much time in a day. I started knitting when I was 8 years old. I now have over 50 years of knitting behind me. All those years and I'm still not a very good knitter -- especially keep me away from Fair Isles. My mother knew how to knit but did not like to knit; she wasn't a good learning resource for knitting. She could never keep her place in the pattern so it was all frustration to her. She liked the sewing machine. I on the other hand could not get along with the sewing machine; I fought it every stitch of the way. I learned how to knit from the Coats & Clark Learn to Knit book that was a standard booklet at the dime store crafts counter. Oddly enough, the instruction book gave directions for English style knitting but I learned how to knit in some other way -- holding the needles differently from anything in the booklet. It wasn't until a few years ago when I took a class in Russian knitting from Galina Khmeleva at Stitches Midwest that I learned that the way I knit has a name: Russian Style. I call myself a process knitter. That is in contrast to being a garment knitter. Garment knitters make things that can be used, or at least that is the intention -- who doesn’t have at least a few UFOs (UnFinished Object) around the house. I don’t tend to make many garments. I knit just to study the process. After 25+ years of marriage, I've only made one sweater for my husband. As I mentioned earlier, I collect knitting stitch patterns. Eventually I found that the easiest way to store the patterns was in a database. I won’t go into all the inner workings of a database, but just think of it as a collection of tables that are like little spreadsheets with rows and columns. The tables are kept as simple as possible. 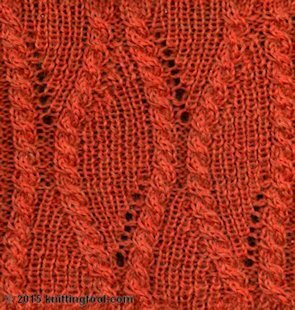 The knitting stitch pattern is de-constructed into its more basic elements. 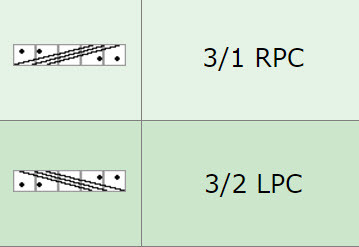 For example, there is a table of stitch names and another table of stitch rows. Each line in the stitch name table has an ID number that corresponds to a Stitch Name ID column in the stitch row table. The relationship between the stitch name in the stitch name table and the lines in the stitch rows table that belong to that stitch name is maintained by the Stitch Name ID values that they share in common. The storage of the stitch pattern in a database provides a couple advantages. First, it makes it easier to display the information in a web page. I have over 2400 stitch patterns in my database. I can display them as over 2400 unique web pages. But behind the scenes I only have to create one web page. That web page includes rules that allow it to interact with the database and produce 2400+ unique results on demand. If I had to write 2400 individual pages, it would never get done. Second, the database allows for analysis of the information. Remember the table of stitch rows that I described above. Imagine that all the stitch rows of all 2400 stitch patterns are in one table. Like a spreadsheet, that table can be sorted. After the table is sorted it is possible to identify stitch rows that are the same. Some of rows will be identical because they are in the same pattern and represent a harmony within that pattern. Some of the rows will identical (or nearly identical) but belong to different Stitch Name IDs. That indicates a similarity between two different patterns. You could think of them as sharing a gene. The database can allow the relationship between stitch patterns to be identified. Of course the relationship between stitches can be identified visually as well but you have to do a lot of knitting. That collection of stitch patterns in my database started out as just a math exercise to classify stitch similarities. I put it on a public web site because that was an easy place to view and manage the stitch patterns. At that time I had not yet made swatches of many of the patterns and I had no pictures of any of the swatches. Pretty dull, but it was just my playground. Then several people discovered the collection on the web. Between them and my husband's critique it became clear the site needed pictures. That began a five year campaign in which I made over 2400+ swatches to provide pictures for the web site. Not much housework got done. I still had my day job as -- guess what -- a database administrator. The rest of my waking hours, evenings and weekends were almost entirely absorbed in swatch knitting. You would have thought that a size 6 Signature stilletto needle was attached to each hand as a sixth digit. I tried to average one swatch a day. I didn't always keep up that pace but I did well enough. I don't work that hard at swatches now. I'm finding time for other things. I'm still collecting stitch patterns into the database and I still add swatches -- just more slowly.